Six Thermo-Kool employees recently graduated from the Dale Carnegie “Skills for Success” Course. The course is designed to teach participants principals for “Developing More Self Confidence, Communicating More Effectively, Controlling Fear of an Audience, Remembering Names, Developing More Effective Leadership Skills, Increasing Enthusiasm/Energy and Reducing Worry and Tension.” Each Thermo-Kool participant felt he or she gained individual achievement in a different area of the course topics. Several of the Thermo-Kool participants received individual class awards throughout the course. 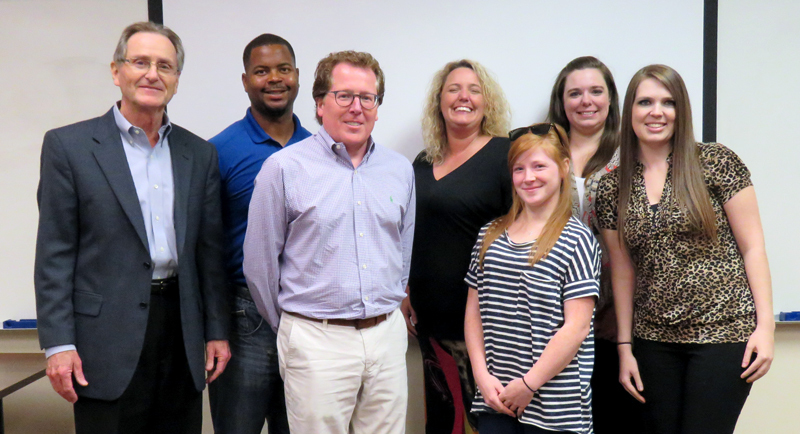 Pictured (from left to right) are: Dale Carnegie Training Instructor, Paul Phillips; Thermo-Kool participants, Production Supervisor, Jermaine Jones; Accounting Manager, Paul Moss; Customer Account Representatives, Erin Flynt, Jessica Ramsey and Allie McCarty; and Human Resources Assistant, LeAnn Stevens.